He was a German-Jewish refugee, born in Germany as Manfred Salinger. He studied architecture at the Technical College of Berlin in the 1920s under Modernists such as Walter Gropius and Erich Mendelsohn (despite having Albert Speer, “Hitler’s architect”, as a classmate. Selby even apparently wrote to Speer upon his release from Spandau prison after the war to wish him well!). Selby was initially interned at a refugee camp when he first came to Britain, finding himself alongside fellow future GSA staff member Paul Zunterstein, who went on to study and work under Benno Schotz in the 1950s. After serving in the British Army in Palestine and Egypt, Selby moved to Glasgow, was admitted as an Associate to RIBA (the Royal British Institute of Architects) in 1948, and began teaching and practising as an architect once more. He became a lecturer at The Mackintosh School of Architecture and continued to teach architectural history part-time at GSA after his retiral in 1972. 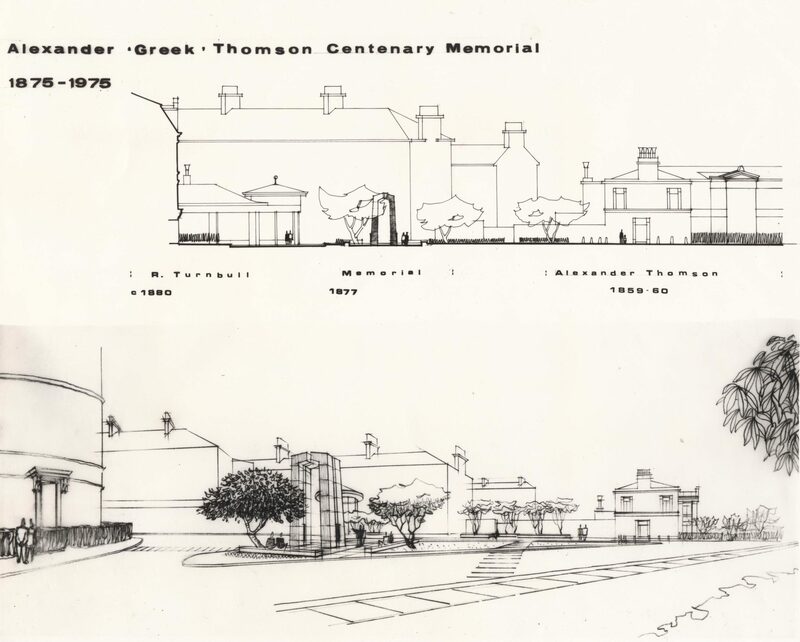 Some of his drawings for the Greek Thomson memorial exist in the Strathbungo Society’s records. The memorial was to be sited where the Nithsdale roundabout island currently sits. Glasgow School of Art Archives and Collections holds a large quantity of Selby’s work, including many sketches from his travels in Italy and the Middle East; and designs for the Herzl Memorial competition and the aforementioned Alexander “Greek” Thomson Memorial competition, these can be viewed online. Even by your standards Andrew, that is a corker of a story . I wonder what became of the memorial proposal? The roundabout could still house a statue but I suppose access would be hazardous. Selby must have been a very forgiving man to be able to wish Speer well. I feel lucky to live in such an interesting area and to have you as the historian.